SAN FRANCISCO (CN) – A state judge on Thursday refused to permit a cancer-risk expert to testify about the amount of exposure to the active ingredient in Monsanto’s Roundup weed killer California has determined causes cancer in the first-ever trial over the herbicide’s carcinogenicity. San Francisco County Superior Court Judge Suzanne Ramos Bolanos sided with Monsanto, after its lawyers accused attorneys representing a retired groundskeeper dying of non-Hodgkin lymphoma of trying to sneak the topic into evidence, despite a pre-trial ruling barring testimony about California’s Proposition 65. Proposition 65 requires manufacturers to put warning labels on products that contain chemicals at certain levels the state believes are carcinogenic. NSRL stands for No Significant Risk Level, the daily intake level calculated by California regulators to result in one excess case of cancer in a population of 100,000 exposed people. NSRLs are established for many of the chemicals listed under Proposition 65. The NSRL for glyphosate is 1,100 micrograms per day, according to the website for California’s Office of Health Hazard Assessment. Plaintiff’s attorney Brent Wisner disputed Bolanos’ bench ruling. He said Monsanto was in fact on notice that the expert, Christopher Portier, would testify about the NSRL because it had seen and responded to Portier’s comments on the topic during a state public comment period. Portier is a highly regarded expert in cancer-risk assessment, and his testimony on the NSRL could bolster the case, filed by DeWayne Johnson in 2016 after he developed cancerous lesions over most of his body. His lawyers say he has two years to live. Wisner added that if Portier wasn’t allowed to testify about the NSRL, another expert witness would. The warning did not sway Bolanos. Last year, California added glyphosate to its Proposition 65 list based on the 2015 finding by the World Health Organization’s International Agency for Research on Cancer (IARC) that glyphosate is a “probable” carcinogen. Monsanto sued over the California designation, and in February, a federal judge barred state regulators from requiring Monsanto to use cancer warning labels, though glyphosate remains on the Proposition 65 list. Monsanto opposed listing glyphosate as a carcinogen under Proposition 65 because California had based its decision on the “fatally flawed” IARC finding, “which ignored crucial scientific data that undermines its conclusion,” Monsanto said in a June 2017 statement. “OEHHA’s [Office of Health Hazard Assessment] decision to list glyphosate is contrary to its own scientific assessment, which determined that glyphosate is not carcinogenic, as well as the conclusions of the U.S. Environmental Protection Agency (EPA), the European Chemicals Agency (ECHA), and every regulatory body in the world that has studied glyphosate,” the statement read. The IARC classification prompted a slew of lawsuits in the United States, including Johnson’s. Johnson alleges that Roundup caused his topical non-Hodgkin lymphoma after he was twice drenched in the herbicide while spraying it in schoolyards for his job. He also claimed Monsanto has known for decades that Roundup is carcinogenic but didn’t disclose it for fear of disrupting its $6.6 billion global business. Although similar cases have previously been filed against Monsanto, Johnson’s is the first to go to trial. It has been called a bellwether for other cancer cases filed against Monsanto, including hundreds of cases consolidated in federal court in San Francisco and in state court in nearby Oakland. On Thursday, Portier, an adviser on the IARC review, testified that the 13 rodent studies he evaluated in addition to IARC’s findings led him to conclude that glyphosate causes non-Hodgkin lymphoma in humans. One of the studies done on mice found three kidney adenomas – benign tumors that can progress into malignant carcinomas – in the high-dose glyphosate group. The findings prompted the EPA to conclude in 1985 that glyphosate is a “possible” human carcinogen, according to Portier. Monsanto reevaluated the animals’ kidneys, and discovered that two of the adenomas in the high-dose group were actually carcinomas. But an additional adenoma was discovered in the control group, prompting the EPA to discount the prior carcinogenicity finding. It recommended that Monsanto repeat the study, but the company failed to do so, Portier said. Portier described another study in which mice developed kidney adenomas, and carcinomas, malignant lymphomas and multiple malignant tumors. A rat study found significant trends of malignant lymphomas, lung tumors, testicular tumors and thyroid carcinomas and adenomas. Portier also discussed the Agricultural Health Study, a cohort study published by the National Cancer Institute of more than 57,000 licensed pesticide applicators from Iowa and North Carolina. The study participants were first surveyed between 1993 and 1997, and were asked about their use of 50 pesticides, including glyphosate. 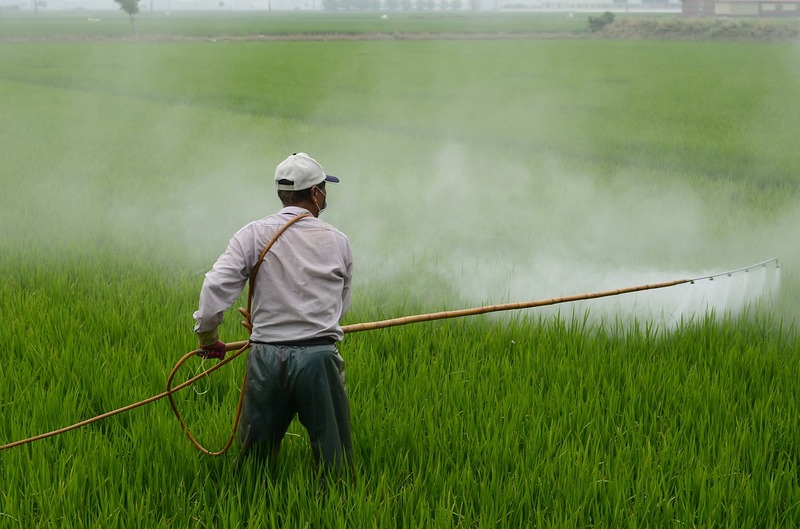 Sixty-three percent of the participants completed a follow-up interview five years later about their pesticide use, and cancer outcomes were assessed. The study, published in 2005 and updated this year, reported no statistically significant association between glyphosate use and non-Hodgkin lymphoma. Because 40 percent of the participants dropped out, researchers estimated their cancer outcomes based on the 60 percent who responded, according to Portier. In a best-case scenario, “that can bias your study depending on how you deal with the other 40 percent and could have a major impact on your findings,” Portier said. Monsanto declined to comment on Portier’s testimony Thursday, but disputed Portier’s assessment in a May court brief. “The study was peer-reviewed and published in the Journal of the National Cancer Institute, which has consistently scored in the top five percent of cancer journals,” Monsanto’s lawyers wrote of the Agricultural Health Study.